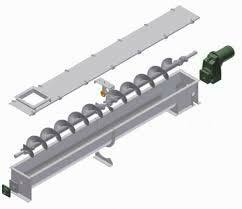 Made in compliance with prescribed parameters of quality, Screw Conveyor System is highly homogeneous. As per the demands of our customers, we make it available in a number of sizes and designs. Along with the immaculate quality on offer, we provide precise design, seamless finish and smooth functionality in addition. Our customers are offered this quality at cheaper rates. They can also get it delivered.